Till now it seems that no Security Bulletin nor Release-Notes has been published by Adobe. Visiting this Adobe web page shows the new version 27.0.0.183. If you have activated the auto-update function of the Flash-Player and installed the player separately, you should receive this update automatically. For Windows 8.1 and Windows 10 I assume that Microsoft will roll it out. Also Chrome Browser should be updated automatically. The installed Flash version can be checked on this Adobe website. 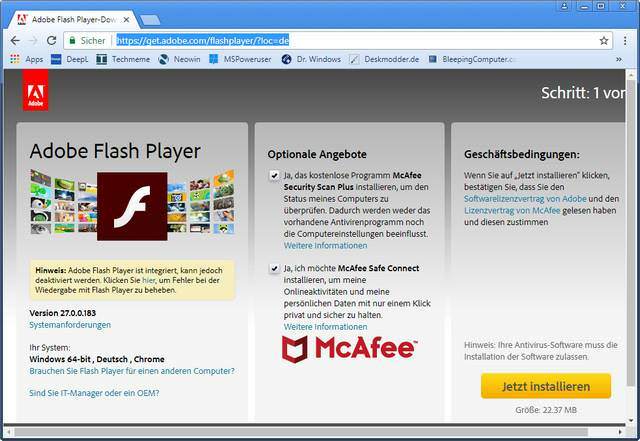 The site shows also, if the Flash-Player is supported in the browser, which version is used and which version is available for update at Adobe. If you update your Flash Player via this Adobe page, take care to untick the optional offers (see screenshot above for McAfee Security Scan Plus, True Key from Intel etc.). 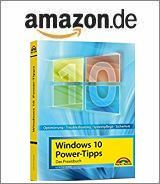 Check this page and here, if you are in need of an uninstaller and more.